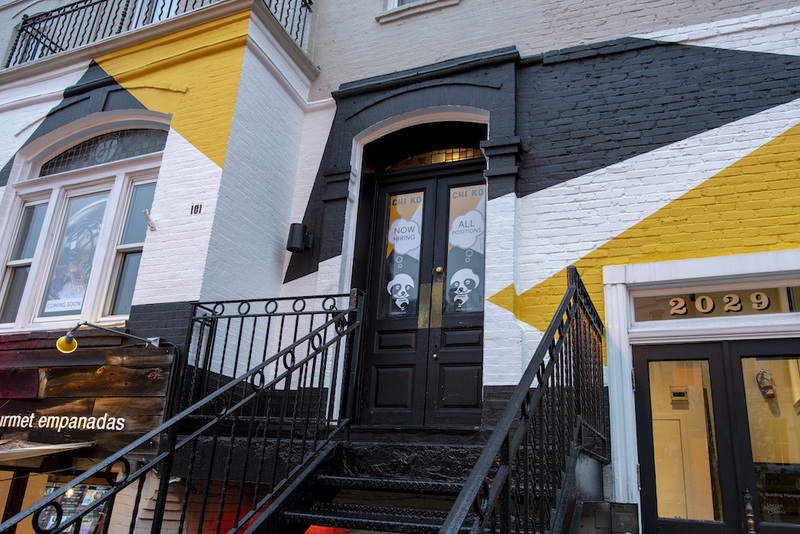 In the opening weeks, the dinner menu will look much like Chiko’s early days on Barracks Row with a curated lineup of classics like potstickers and spicy cumin lamb noodles joining new dishes such as chicken-and-egg fried rice. The four-seat tasting counter where guests are invited to “eat the menu” will also start in the weeks following the opening along with takeout and delivery via Caviar. 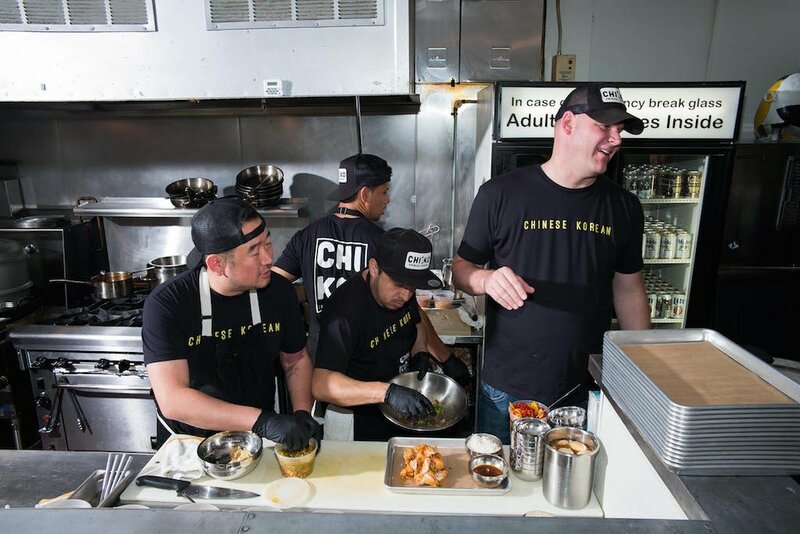 Chefs and partners Danny Lee (left) and Scott Drewno (far right) in the open kitchen at Chiko on Capitol Hill. Meanwhile Drewno and Lee—along with co-owner Drew Kim—have just freshened up the menu on Capitol Hill to vary from the new sibling’s. A la carte, you’ll find items like chilled peanut noodles or a “year of the pig” plate with spiced pulled pork, pork dumplings, pickles, and rice cakes. At the reservation-only kitchen counter there’s a new “Royal Menu” with items inspired by the imperial cuisines of China and Korea. From the latter, Lee created a “box of nine treasures,” a traditional octagonal tray whose center is filled with spongy rice crepes that are surrounded by a kaleidoscope of fillings. Guests are encouraged to mix-and-match their own little wraps of seasonal vegetables, meats, and seafood. From China, Drewno is hearkening back to his days at The Source and making crunchy-skinned Peking ducks served with homemade pancakes and sauces. Both restaurants are open on Valentine’s Day with a special prix-fixe that’s only available via tickets purchase online ($65 per person including food and a glass of bubbles). Though true to Chiko, space is limited and going fast. Chiko Dupont. 2029 P Street, NW. Open Monday through Thursday, 5 to 11 PM; Friday and Saturday 5 PM to midnight; Sunday 5 to 10 PM. Lunch starting soon.